On a desperate mission to rescue her beloved Gwyneth, Megan discovers a terrifying truth - that the destruction of her old life is inextricably linked to her unborn child. The feared witch soldiers, vanquished a generation ago, have returned to see the fulfilment of a prophecy: one that will put Megan and her new friends - Eleanor, a fiery ex-aristocrat, and Damon, a wayward charmer - at the heart of the greatest war her world has ever known. Megan – a sixteen-year-old girl – recently found out she is pregnant by a boy who lives in her village. The problem is with the times she lives in, women should only be pregnant when they are married and Megan isn’t. As she prepares to tell her family the true, she witnesses a murder and then soon her village is raided by soldiers, leaving her grandfather dead and her sister taken. Megan’s only left with one choice, she needs to find her sister but soon she realizes it’s going to be a hard journey. The witches have returned and are Megan’s unborn child is to blame. Can Megan save her sister in time but also keep her unborn child safe? The story itself, I found a little slow until the secondary characters came into the picture who provided a lot of entertainment and laughs. Eleanor and Damon are probably the most unlikely people that you would think would make good companions for Megan, but they were perfect. The story was fast-paced and full of twists and turns and overall, very enjoyable. The Review: Don’t Blackmail the Vampire is the second book in the Sons of Kane series and follow up to Don’t bite the Bridesmaid…. This time around we meet Rachel Davis who is meeting her sister and her fiancé for a ski trip, Rachel knows that her sisters man isn’t right for her and has decided to do everything in her power to put an end to the relationship so that her sister doesn’t make the huge mistake of marrying him….. but her sister is stubborn. It just so happens that Charles Wright is on the trip too, giving her sisters’ fiancé a job opportunity and when Rachel sees Charles for what he really is, decides to blackmail him into helping her in her mission to save her sister. Little does Rachel know that Charles is actually there to find out if said fiancé is the one threatening his soon to be sister in law and there is no job offer available; just the opportunity to put his brothers mind at ease. When their plan takes a different turn however, things soon start to heat up for Rachel & Charles as they both start to thaw towards each other. 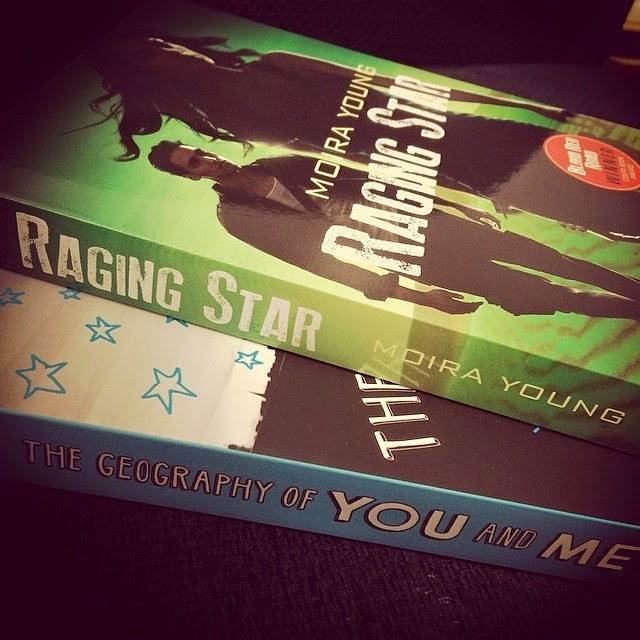 I really liked this book, I liked book one just the same and I liked the connection between both books. Charles was a character that stood out in book one, he seemed mischievous, a bit of a ladies man too, the sort that doesn’t want to settle or be tied down to anyone - so it made me happy to realise that he was about to get played by Rachel. When I realised who Rachel was and how she was also connected to book one; that made me even happier because it did actually connect Rachel & Charles without them knowing it…. So let the fun commence. As I said - I like both characters - it wasn’t hard not to be invested in their schemes and they both came from a good place with the best intentions and as always with books like this, it’s what happening because of their colluding that holds our interest in as well. I thought Rachel & Charles made a great pairing, alone they were pretty sad figures & quite misunderstood but together, they brought out the best in each other and made each other blossom, creating some very intense situations filled with emotions neither were used to dealing with, not to mention some great sexual tension & smexytimes – if they could both give each other a chance! I liked how each of their agendas tied together and who it tied too (forgive my vagueness, you will understand when you read it) it was risky situation and a no win scenario but it was a good progression to the series and of course a good catalyst for our MCs to fall in love. I’m curious to see where the next book will go because there is only one ‘Son of Kane’ left and the storyline didn’t seem to be heading in that direction but no matter where it goes, I will be reading it. As I said about the first…..this is a really fun, enjoyable read and hit the spot for a quick easy read. 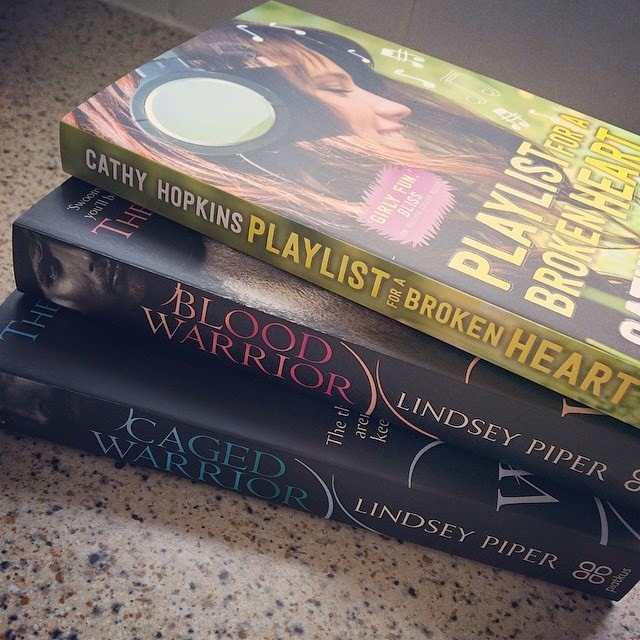 I like these type of books because they are fun, you don't have to think too hard, you get good characters, a good scenario, some humour, some sexytime and a nice HEA - so what's not to like? 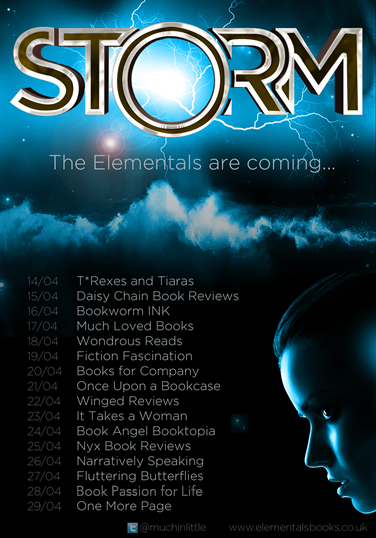 The Review: Exciting, dangerous and very intense, Storm is a fast paced read that brings a whole new meaning to elemental magic. Our main character Becca doesn’t have many friends except her best friend and she shies away from other students because of the nasty rumours that have been spread about her around school. On night after leaving school, Becca comes across Chris Merrick fighting for his life in the car park. Becca does the only thing she can think of and that’s to help run Chris’s attackers off, however, after rescuing Chris, Becca is pulled into Chris’s dangerous world, especially when she finds out he’s connected to the elements and can control water. Becca’s life has never been as dangerous as it is now, and she needs to figure out who she can trust before it’s too late. YA Paranormal has definitely taken a backseat with me. It’s feels like such a long time that I’ve been able to connect with that kind of story, but I’m so glad that Storm finally cracked the problem and now I’m itching for more – more importantly – itching for more from the Merrick brothers. The brothers - Chris, Nick, Gabriel and Michael are completely fabulous! With each of them having a different element, it’s safe to say there is never a dull moment throughout this story. It’s captivating and spell-blinding to watch these super-hot guys experience with their super cool elemental magic. The bring a lot of exciting twists and turns throughout the story and it also makes it very unpredictable – in all, I loved the plot. With Storm being Chris’s story, I really enjoyed getting to know him and watching his relationship with Becca grow. At times, it’s nearly non-existent that I honestly thought they would just remain friends, but the author focuses more on the story rather than the romance and I liked that. It gave the story a lot of suspense and intense scenes. Both Becca and Chris were really great to get to know. I liked Becca; she grew on me through-out the story, but Chris I liked instantly. I think because there was a lot of mystery surrounding him. And together, they were great! At the moment, it’s pretty hard to pick a favourite brother. There’s definitely something about Nick that I like, so I’m intrigued to discover more in his story, but I’m also excited to read the other books in the series. 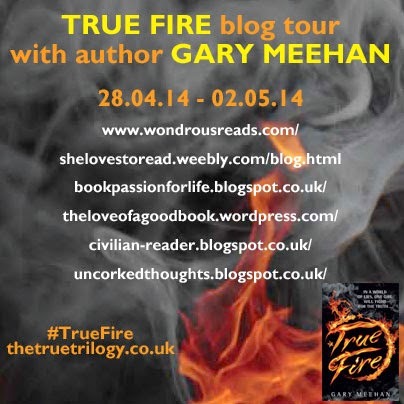 I’m not sure I can wait for the next UK release date – I want it now! In all, Storm surprised me and I found it a very exciting read that it’s left me wanting more. I’m so glad I got the opportunity to read this book. The first novel I wrote in high school was about four vampire brothers, named Michael, Nicholas, Gabriel, and Christopher. It was a silly story, but I still have most of it on paper. In my twenties, when I really began to take writing seriously, I wrote a few books but was unable to find a literary agent or a publisher. I couldn’t get those four brothers out of my head – but I didn’t want to do vampires again. I started tossing around ideas that would work with the number four. Four horsemen of the apocalypse. Four leaf clovers. Four, four, four. The four elements of earth, air, fire, and water seemed to work best—and I had a lot of ideas how I could make it fun. What teenagers wouldn’t want to be able to control the elements? It took me about nine months to write Storm. Figuring out how to write from a guy's point of view. I'd never tried it, and my first attempt was really stressful. 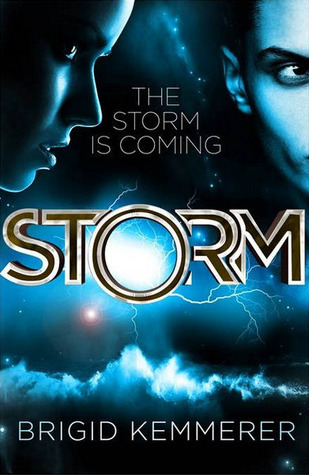 Originally Storm was entirely from Becca's perspective. I had half the book written from her point of view, and I realized I had a great family dynamic to explore. I kept asking my husband all these random questions about how guys think. I know I made him nuts, but it paid off, because he finally snapped, "Hon, stop worrying about how ALL guys think, and worry about how THIS guy thinks." It was the perfect advice. I sat down, started writing, and Chris was born. No way! I could never pick a favorite. I love them all. Do you prefer the UK or US covers to your books? Dangerous question! I love different things about all my covers, but I think the UK covers capture the danger element of the books the best. When Nick quips that Gabriel can barely count to ten, so Gabriel gives him the finger and says, "I can count to one." If you were deserted on an island, what three favourite things would you want with you? My husband, my e-reader, and a lifetime supply of potato chips. Steak and potatoes for me and my husband and tons of easy foods for the kids. Think yogurt and applesauce and juice boxes. I don't eat any seafood due to a terrifying experience with a catfish when I was five. Yes, really. List 3 books you have recently read and would recommend? Brigid Kemmerer finds the time to write somewhere between caring for her family and working at her day job, but sometimes she ends up mothering her coworkers and managing her family. Storm: The Elemental Series is her first novel. The most magical figure of royal folklore and legendary British king travels to the future to reunite with the girl he fell in love with. 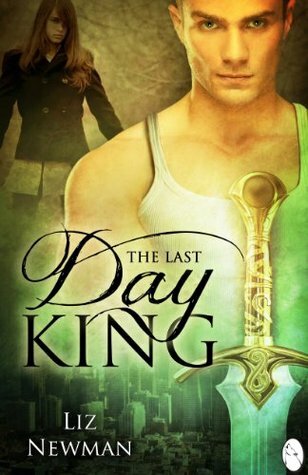 The Review: The Last Day King blends the past with the present as we delve into a world of legend and bring it into modern times. Even though the synopsis might seem vague, it is pretty much spot on….In the present day, a teen girl – fresh from being dumped at the side of the road in her prom dress - spots a young man drowning and runs to save him. After dragging him free from the water, making sure he is breathing and saving his life – they both share a moment, a connection and a kiss – then he vanishes into thin air, leaving Lilith with a bleeding head and thinking that she must have imagined it all. We meet up with the young man again, in a different time & place and find that years have passed since the meeting but he has never forgotten the beauty of Lilith and although he hasn’t returned to that time again his trusted advisor & wizard friend has and he doesn’t like what he sees because all he can see is the fate of humanity and it is not good. The wizard is determined to save mankind and comes up with a plan involving the young King but things are not right in their town and the King has been challenged and this challenge has a prophecy attached to it and that is the certain death of the King. Determined not to be a coward or to go back on all of his morals and ruin everything he has built, he will be back for the challenge but first he must help save mankind and hopefully capture the heart of Lilith again, even if only for a moment. Dumped by her college boyfriend for her best friend, the last thing Jenna Brandt needs to deal with is working beside her backstabbing-BFF's hotter-than-hot brother. But when he offers her a chance to get some revenge on her ex, she can hardly say no--even if spending more time with Sutton puts her heart in jeopardy all over again. Sutton Bell has had a thing for Jenna since they were in high school, but after one screwed-up night, she didn’t want anything to do with him. Now, with just the summer before he leaves to begin his new career, Sutton’s determined to convince Jenna he’s not the player he used to be. But saving his sister from making an awful mistake may mean losing Jenna for good. The Review: This book was really good. It's been a while since I reviewed anything NA or anything at all really, so when Donna emailed me about this and one other I needed to read it. As far as stories go, its a great little one. Jenna our female is fiery and strong and that's how I love my female book heroines to be. Sutton our male is hot...with a bad boy rep that he's trying to reform, he and Jenna had such amazing heat and chemistry in this book, it really bounced off the page, and their moments together where steamy. Although I wasn't a fan of Sutton's sister Lacey, I could not fault his love for her. I have two brothers, and if either of mine did for me what Sutton does for his in her time of need I'd love them forever. His relationship with both the ladies in his life are admirable, and although some of his decisions could be called into question slightly, he more than makes up for them later on. I only have a couple of gripes, number one being that the story as a whole seemed quite easy, not predictable, just easy. The second being, it all seemed to just rush. The scenes I felt could have been slightly more in depth, there didn't seem to be a huge amount of drama of angst. I was hoping for more of a confrontation between Jenna, Lacey and Adam but sadly this fell a little short for me. Although I did enjoy this, I was actually never bored, I did feel it lacked some POW! to it. And you need a good bit of POW! to an NA novel otherwise, it becomes the same and a little ordinary. 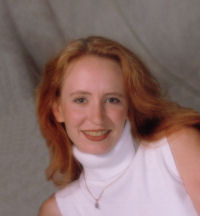 Julie Particka is however a very good writer, and she writes with a great deal of passion and love for her characters. She managed to write the story that needed to be written, and I would mostly definitely read more from her in the future. Overall Fall With Me isn't a bad read at all. I would recommend it if you'd like something light and quick with very little drama. I would this is a solid 3.95 stars for me. When hot, talented, uber-famous boy band Gold enroll at the prestigious Oakwood Academy, Iris is determined not to get distracted. She's class president and a scholarship student, and she can't let her grades drop. Besides, there are plenty of other girls who are desperate to get close to Gold - including Iris's best friend, Chloe. But on their first day at Oakwood, Iris is asked to show Gold around - and finds out gorgeous lead singer Rian will be sharing her locker . . . Surrounded by fans and paparazzi at every turn, Noah, Luke and Rian love that Iris treats them just like normal guys. But being friends with three of the most famous people in the world comes with its problems. And when Iris begins to realize she has feelings for one of them, things get even more complicated . . . The Review: Full of fun and flirty moments with an enjoyable plot, Gold Rush is entertaining read perfect for any contemporary romance fans. Everyone and anyone has heard of the band Gold and even more so when the band enrols at Oakwood Academy. Iris is possibly the only girl in her school who isn’t swooning over the boys, even when they befriend her because she acts so cool around them. 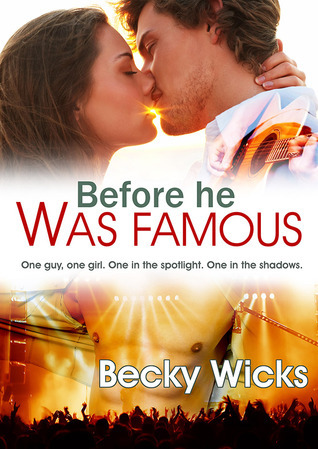 Iris suddenly finds herself surrounded by the boys and, soon she finds that there’s more to the members of Gold than she once thought – especially the lead singer Rian. Iris finds herself getting closer to him, but could she ever have a serious relationship with a famous rock star, or will she be the one getting hurt? I liked Gold Rush, in fact there’s nothing not to like about this story. Its fun and a very quick read. It’s one that keeps you entertained throughout, even though it’s slightly predictable at the end, but still thoroughly enjoyable. The members of Gold are likable and just that little bit swoon-worthy. All the boys had different personalities so it was great getting to know them. Iris and her two best friends, Chloe and Kevin were just as likable as everyone. The whole gang fit together and it was enjoyable listening to the banter they have back and forth. Iris’s and Rian’s relationship wasn’t as insta-love, which I really enjoyed. It was a slow one, one where they started off as friends and things moved along from there. It was pretty easy to spot Rian’s feelings for Iris before Iris did, so that was fun too. 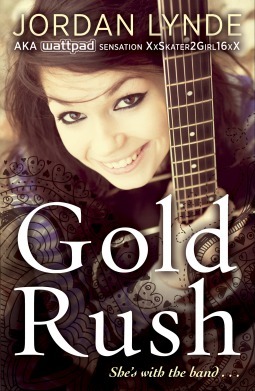 In all, Gold Rush is an enjoyable read – one that will keep you smiling throughout. "Its been a long time since I've read a book by Julie. 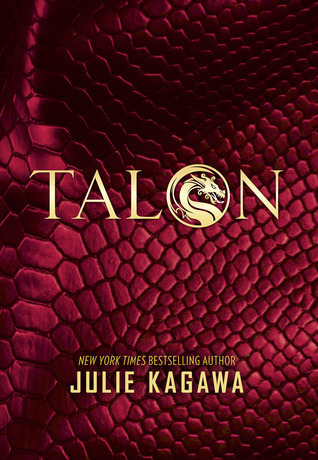 I still have her vampire series to read, but I can't wait for this as ita dragons. And you don't get many books with dragons. Awesome"
Lauren is the new girl in town with a dark secret. Colby is the football hero with a dream of something more. In alternating chapters, they come together, fall apart, and build something stronger than either of them thought possible--something to truly believe in. 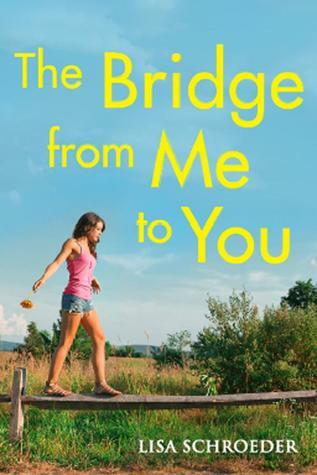 I’ve never read anything by Lisa Schroder but The Bridge of You and Me sounds like a good way to start. The blurb doesn’t give much away, so I’m hoping it’s going to be full of hidden secrets. I can’t wait! Braedyn Murphy used to think nothing important ever happened in her sleepy town of Puerto Escondido. But that was before she learned she was a descendent of Lilith, the mother of all demons. Now Braedyn fights to protect humanity from the Lilitu - the beautiful, souls-stealing daughters of Lilith. Braedyn knows she’s a key player in this ancient war... but she’s not ready to believe she just might be humanity’s best hope of surviving the final battle for Earth. 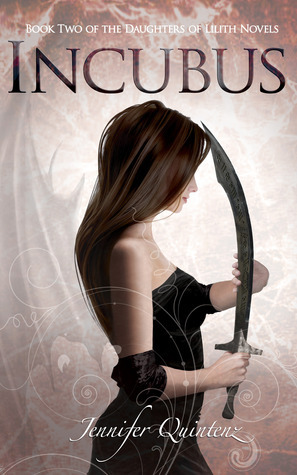 Incubus is the exciting sequel to Thrall (Duaghters of Lillith #1) and carried on just where we left off. Following the events of Thrall, Braedyn is given a glimmer of hope by an angel, if she can keep herself from doing wrong, there is a chance she can be made human. This is great news for Braedyn and also for her loved ones, giving hope that she can be with Lucas properly, never guarding her love for him, being able to kiss him, have a normal life with him but at the minute Braedyn knows she is needed in her Lilitu form to give the Guard the upper hand in the war that’s brewing. 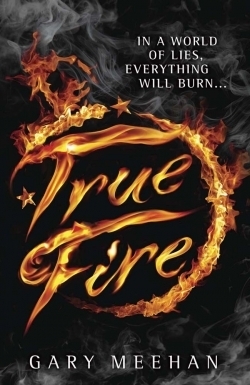 During a field trip in which Braedyn and Lucas are attacked by a Thrall, they uncover some symbols similar to that which adorns the guards weaponry and when they take this news to the Guards, realise it is a huge discovery but as they look into it they discover that there is more to it than meets the eye and a could infact end the war before it starts - giving hope to all involved and none more so than Braedyn because if there is no war, then there is no need for her to stay a Lilitu…. They do discover that the Thrall that attacked them was female and as such could only come from one source…. The rare and elusive Incubus, so when the threats become more apparent, Braedyn is faced with a tough choice which might just lose her everyone she loves. I really enjoyed this book and think it was better than the first now we know what’s happening and about the world of Lilitu. It followed the same vein as book one in respect of the training aspect, we see Braedyn and Lucas train more as they painstakingly prepare for what they know will come to pass. We can see both improve and we see the inner warrior desperate for some escape as Braedyns powers start to manifest. Even though the romance aspect can’t be too full on because of what could happen if Braedyn loses control, there are still some super charged moments between our lovebirds to get the heart racing and they will always have their dreams. I thought that even though Braedyn had made the decision to stay in her current form that when she got that glimpse of hope, she got carried away and became desperate, forsaking what her rational self would have done and risking a lot on a possibility, they do say that the path of evil is paved with good intentions and Braedyn should really heed that…. it remains to be seen what damage she will do to those relationships she has. I liked the introduction of the Incubus, in book one it was all about the Lilitu who are a form of Succubae so it’s a perfectly natural progression to be dealing with the opposite too and even though they are rare, that doesn’t mean that they don’t exist. I thought it brought something a bit different to the story and I liked why it was introduced. I thought that the threat was more underhanded this time, quite subtle but sneaky and I liked how misdirection was used. The Guards seem to be banding together because something big is brewing but they can be frustrating in the way they view Braedyn & Lucas and how much information they are allowed which in turn, allows them to make huge mistakes. I won’t say that the story kept me guessing until the end, I knew who it was pretty early on but that did not spoil my enjoyment of the book at all, in fact…. It added to the tension because I could see it coming, I knew what was going to happen and I loved it all. As I said, it was very exciting and filled with secrets, misdirection, hope, faith and a little bit of divine intervention which made for a great read and I will be definitely reading more!. 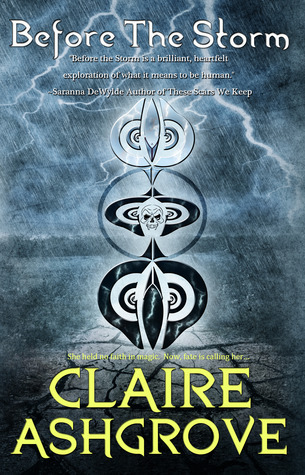 Before the Storm is the exciting new book in the new Windwalker series from Claire Ashgrove, many of you may know her for the equally awesome The Curse of the Templar series that I adore but now she takes a dip into the Urban Fantasy/PNR genre. I really liked the story to this and it opens up a very promising world for the reader to discover. 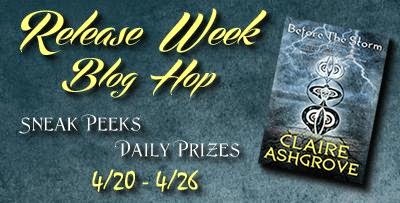 I definitely connected with our main character – Halle Rhoads- it’s hard not to when you get her story and you see a girl brimming with unbridled power, who has lost everything at a young age but covers her insecurities with her attitude…. she is driven, driven to protect the sister -who doesn’t even know she lives- from a tyrannical uncle and it’s whilst putting her plan into action that she is accosted by a mysterious man who knows far too much about her…considering she’s meant to be dead! He promises her lessons in controlling her erratic magic, if she will accompany him back to his home… but what does he want in return? Halle doesn’t trust anyone and has learned there is always a price to be paid. What ensues between the two will make you laugh, make you smile, make you gasp and definitely pull on those heart strings as a battle of wills turns into something deeper. I liked the pairing, I thought they complimented each other and I liked that Kale could see through Halle’s defence mechanisms, it gave their relationship that extra depth with him understanding her on all levels and how she should be treat & educated, she pretty much ‘gets’ him too and it has a fated feel to the blossoming relationship, I also love that through this we get a few glimpses into both of their insecurities & fears, endearing them more to me. As I mentioned, the story line opens up a very promising world filled with magical people who can control elements, nature, power, illusions, the physical form & even the dead which is all displayed very well throughout the book and as all good fantasy style books should…. I want to see it, I can picture it in my head through the great descriptions but to actually see it visually would be amazing because the battles, the fights and even the training using the magic available would be stunning! The introduction into this world really got my interest and I loved learning it alongside Halle, we already know that there is a firm enemy and a lot of people share Halle’s goal but there is so much more to be explored through the different ‘clans’ and their areas of magic, so many secrets to uncover, magic to be unravelled and learnt, goals to be achieved, alliances to be made and battles to be won, even the hint of a prophecy…. But this is just the start and whilst it was great to get to know the basics, the next book promises so much more…. Can’t wait! I ground my teeth together, choking down fury. Daddy dearest had wanted too much to do with Faye. Just as he had with me. Overhead, lightning crackled through the clouds. “You’re nothing but a good for nothing tramp!” Allen bellowed. “You’re going to respect the privileges you’ve been given, if I have to beat it into you. I swear to God, girl, you won’t embarrass me. Not with my re-election in another month.” He whipped around to face her once more, his arm cocking to his shoulder in the same angry whirl. I glanced up. Felt that rage, that helplessness, the same instinctual desperation to protect Faye fill my veins. A deep roll of thunder sounded in the heavens, as ominous and foreboding as the telltale way my fingertips prickled with power I didn’t quite know how to control. All I knew was it happened when I felt. And I’d come here because Allen could provoke feeling inside of me. Now he’d regret ever disturbing the perpetual numbness. Closing my eyes, I breathed deeply. Now. Let the storm come now. Let it be as horrible and deadly as the wrath I unleashed years ago. A feeling of disassociation slipped over me, and distantly I felt a strange smile pull at my mouth. I remembered that odd sensation. Recalled all too well how it veiled over me and offered me protection from the flying debris even as it created an emotional barrier. This was it. It would happen now. As another bellow of thunder echoed overhead and the darkening sky filtered out the sun, I sucked in a deep breath and opened my eyes. My gaze focused on Allen; the stirring winds churned more violently. He uncoiled his arm, the back of his knuckles arcing toward Faye’s delicate cheek. Something heavy hit me from the left. I toppled with the force of impact, barreled sideways into the fallen leaves and thick carpet of weeds and overgrowth. Knocked senseless, I barely comprehended a boulder of a weight pinning me to the musty ground. Gasping, I pushed to my knees to crawl away. “No, you don’t,” a masculine voice whispered near my ear. Strong arms wrapped around my torso, anchoring my arms to my side as he rolled off me. Hop today to read more at Reading Between the Wines! Tell us how you came up with the idea behind this series? My roots are in fantasy and I absolutely love to world build. I’ve piddled with several ideas, have a couple truly epic fantasy works in the pool, but this one is the one I’ve managed to finish. What was your biggest challenge in creating this series? That I pantsed the whole thing. Laugh! I usually plot to minutia. This required a lot of thinking on how I could tie in one thing to another and how I could go to the next stage with the least amount of cut words possible. I despise cutting words. I had other deadlines and obligations, so it’s not a true reflection of length of time to write. But almost a year. The entire series will be told in trilogies. Halle’s journey will have three components. The next journey will have three components, and so forth. That way it can somewhat continue indefinitely for my own pleasure of writing and enthusiastic fans, but readers can hop-on / hop-off as they desire. Who would you cast in the movie version of this book? Or who do you see playing them? Hopkins. For Surana? Famke Janssen with red hair. Do you have any other books that you’re working on that you could tell us about? I have a pile of stuff coming down the pipes that I’m working on. Of course, book two in this series – Tempest Rising. Two books as Tori St. Claire for Entangled Brazen (one will release this year definitely.) Three blue-collar Romantic-Era historicals as Sophia Garrett for Entangled (I love, love this series!) and another Immortal Templar book this fall. Anyone want to clone me? Listing it out like that has me a little freaked out. Who is your favourite character from the book? Rafini – Bet you didn’t expect that, eh? For those of you who haven’t read yet, Rafini is a mentor of types for Halle. What can we expect from book two? Well, Halle’s in a bit of a fix at the end of Before the Storm. She has a lot to still learn, and book two will see her accomplishing a lot of that. We’ll learn more about the Noita and the Jadukara, and with the Yaskini aware of her abilities now, there will be regular action as well. Her personal quest deepens, with more trials and struggles there as well. And I have a few surprises I am really dying to share, but for the sake of not spoiling the entire book two, will leave them tightly under wraps. Thank you to Piatkus, Simon & Schuster UK, Scholastic, Headline Publishing, Misty @ Bookaholic Book Club & Becky Wicks.